Therapists who are skillful in their field know how to motivate their clients. To join our staff, one must first go through advanced training in different healing methods and therapies. Professionals at Spring Gate Rehabilitation and Healthcare Center really love what they do because a career in patient care here is not just a job. It's an honor to play such a vital role in changing the lives of patients and their families. 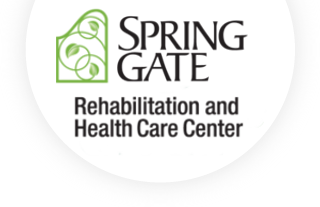 In summary, we at Spring Gate Rehabilitation and Healthcare Center are on a constant mission to improve the health and fitness of our patients. We are always searching for new techniques to add to our Physical Therapy program. Come and see firsthand how the right tools and support system from a well-trained and caring team turns lives all the way around!